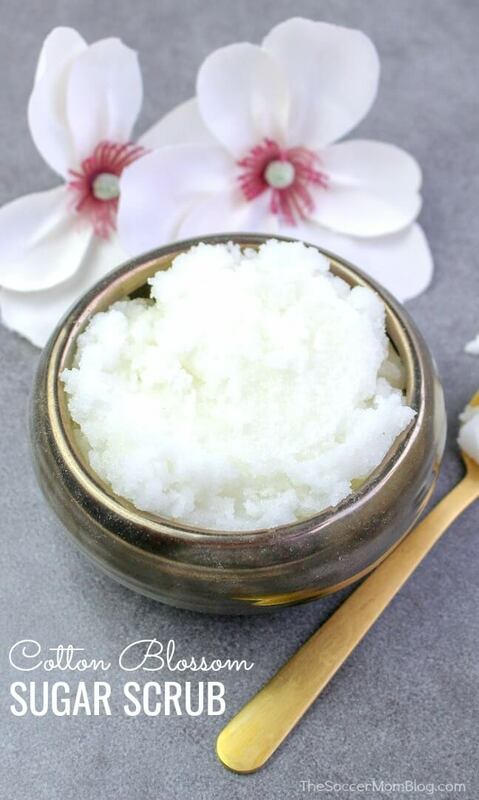 This heavenly-smelling cotton blossom homemade sugar scrub leaves your skin baby soft, and costs a fraction of the price of store-bought beauty products! Like many of you, I’m a huge fan of Bath & Body Works (I used to work there in college!) I especially love their Cotton Blossom fragrance. It’s one of their classic scents and one of my all-time favorites, even before I ever worked there. However, as a mom with a growing family, I like to save money wherever possible. That’s why I’ve started dabbling in creating my own homemade bath and beauty products. The other reason I love homemade skin care is because I know exactly what goes into the products I make — no harsh chemicals with crazy names I can’t even pronounce! 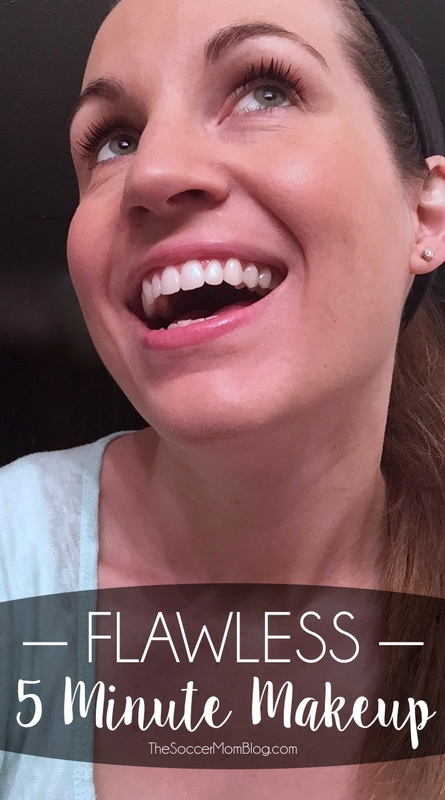 After my last pregnancy, my skin became super sensitive, so I’m extra careful about what I use on it. 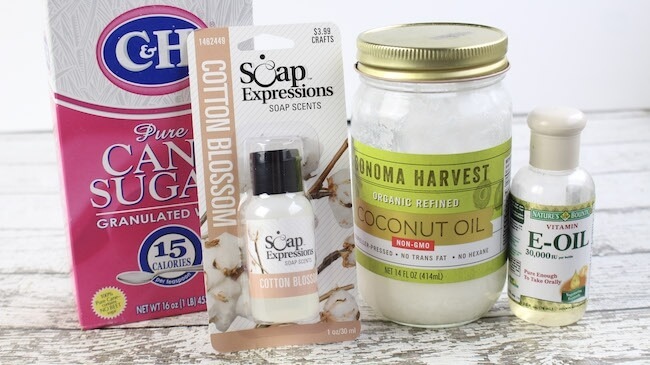 This cotton blossom DIY sugar scrub is made with only 4 simple ingredients, so not only is it easy to make, but there are no surprises about what’s inside. 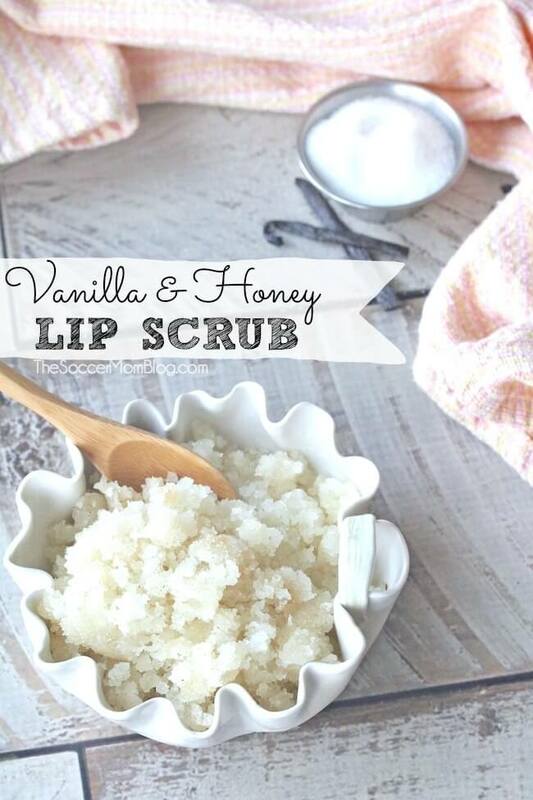 Make a batch for yourself, or as a gift for your mom, grandma, or girlfriends! It smells amazing, keeps for weeks, and it works! 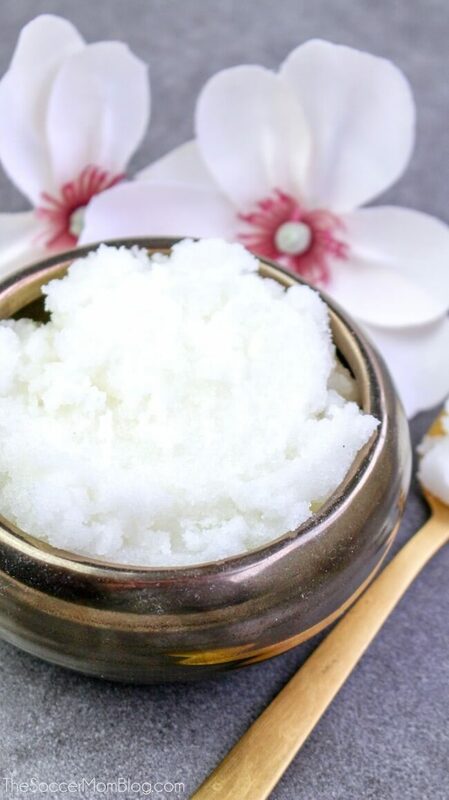 For your convenience, I’ve included shop-able ad links to products and supplies used to make this homemade sugar scrub recipe; disclosure policy available here. Combine all of the above ingredients into a medium mixing bowl and stir until fully incorporated. 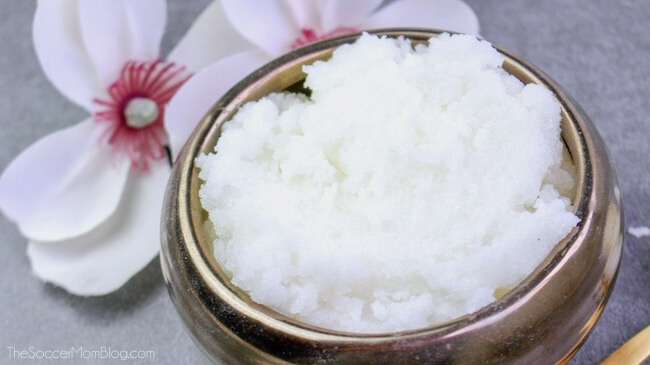 How to Store Your Homemade Sugar Scrub: Transfer cotton blossom sugar scrub to an airtight container and keep in a cool, dry place for up to 1 month. Massage in a circular motion for about 30 seconds. 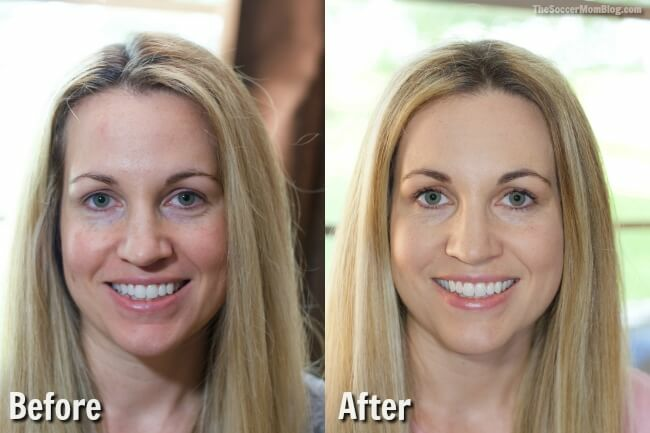 Rinse completely with water and gently pat dry with a towel. 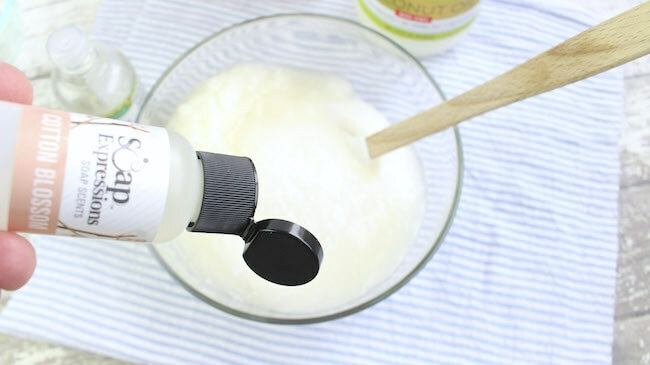 Follow with your favorite skin moisturizer – click here to see why we love coconut oil as a moisturizer!